This website uses the services of Pike13 to manage our music school. Pike13 is a service which provides online business management services with mobile-friendly features like scheduling, client management, and smart reporting. This service is provided by Pike13 Inc. ,1221 E Pike St., Suite 200, Seattle, WA 98122, USA. Pike13 is PCI DSS compliant and takes the need to protect your Personal Information seriously. The Payment Card Industry Data Security Standard applies to companies of any size that accept credit card payments. The data you provide will be supplied to Pike13 based on Art. 6 (1) (b) General Data Protection Regulation (Processing for contract purposes). You have the option to revoke your consent at any time with future effect. It does not affect the processing of data previously collected. This website uses the services of DocuSign, a service which provides an eSignature solution as the core part of their broader platform for automating the agreement process. This service is provided by DocuSign Inc., 221 Main St., Suite 1000, San Francisco, CA 94105, USA. The data you provide will be supplied to DocuSign based on Art. 6 (1) (a) (Consent) and Art. 6 (1) (b) General Data Protection Regulation (Processing for contract purposes). You have the option to revoke your consent at any time with future effect. It does not affect the processing of data previously collected. This website uses the services of vCita. The vCita Web-App provides a comprehensive solution to Users and Kara Johnstad School Of Voice, which enables them to contact each other, schedule an appointment, form a contract, pay and receive fees, interact and manage their engagement by using the Web-App. The Web-App is installed on vCita’s servers, and when you use the Web-App, the information routed via the Web-App is accessible to vCita. This service is provided by vCita, Inc., 10777 Main Street Suite 203. Bellevue, Washington, USA and 38 Habarzel st. Building B, Tel-Aviv, 6971054, Israel. vCita is certified under the EU-US Privacy Shield. The Privacy Shield is an agreement between the European Union (EU) and the US to ensure compliance with European privacy standards in the United States. vCita is subject to the investigatory and enforcement powers of the U.S. Federal Trade Commission (FTC). The data you provide will be supplied to vCita based on Art. 6 (1) (a) (Consent) and Art. 6 (1) (b) General Data Protection Regulation (Processing for contract purposes). You have the option to revoke your consent at any time with future effect. It does not affect the processing of data previously collected. Kara Johnstad and those affiliated with the Kara Johnstad School Of Voice use WhatsApp's services for internal and external messaging and calling with students, prospects and other contacts. Provider of these services is WhatsApp Ireland Limited, 4 Grand Canal Square, Grand Canal Harbor, Dublin 2, Ireland. The data you provide will be supplied to WhatsApp based on Art. 6 (1) (a) (Consent) and Art. 6 (1) (b) General Data Protection Regulation (Processing for contract purposes). You have the option to revoke your consent at any time with future effect. It does not affect the processing of data previously collected. Kara Johnstad and those affiliated with the Kara Johnstad School Of Voice use Facebook Messenger's services for internal and external messaging and calling with students, prospects and other contacts. Provider of these services is Facebook Inc., 1, Hacker Way, Menlo Park, California 94025, USA. The data you provide will be supplied to Facebook based on Art. 6 (1) (a) (Consent) and Art. 6 (1) (b) General Data Protection Regulation (Processing for contract purposes). You have the option to revoke your consent at any time with future effect. It does not affect the processing of data previously collected. 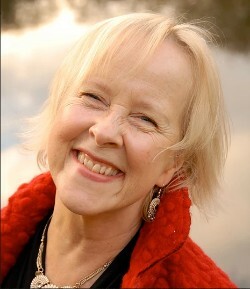 Kara Johnstad and those affiliated with the Kara Johnstad School Of Voice use Skype's services for internal and external communication via text, voice and video with students, prospects and other contacts. Provider of these services is Skype Communications SARL, a division of Microsoft Corp. (NASDAQ: MSFT), in 23-29 Rives de Clausen, L-2165 Luxembourg. Microsoft (Skype) is certified under the EU-US Privacy Shield. The Privacy Shield is an agreement between the European Union (EU) and the US to ensure compliance with European privacy standards in the United States. The data you provide will be supplied to Microsoft (Skype) based on Art. 6 (1) (a) (Consent) and Art. 6 (1) (b) General Data Protection Regulation (Processing for contract purposes). You have the option to revoke your consent at any time with future effect. It does not affect the processing of data previously collected. Kara Johnstad and those affiliated with the Kara Johnstad School Of Voice use ZOOM's services for internal and external communication via text, voice and video with students, prospects and other contacts. Provider of these services is Zoom Information Inc., 307 Waverley Oaks Rd Ste 405, Waltham, MA, 02452-8413, USA. ZOOM is certified under the EU-US Privacy Shield. The Privacy Shield is an agreement between the European Union (EU) and the US to ensure compliance with European privacy standards in the United States. The data you provide will be supplied to ZOOM based on Art. 6 (1) (a) (Consent) and Art. 6 (1) (b) General Data Protection Regulation (Processing for contract purposes). You have the option to revoke your consent at any time with future effect. It does not affect the processing of data previously collected.